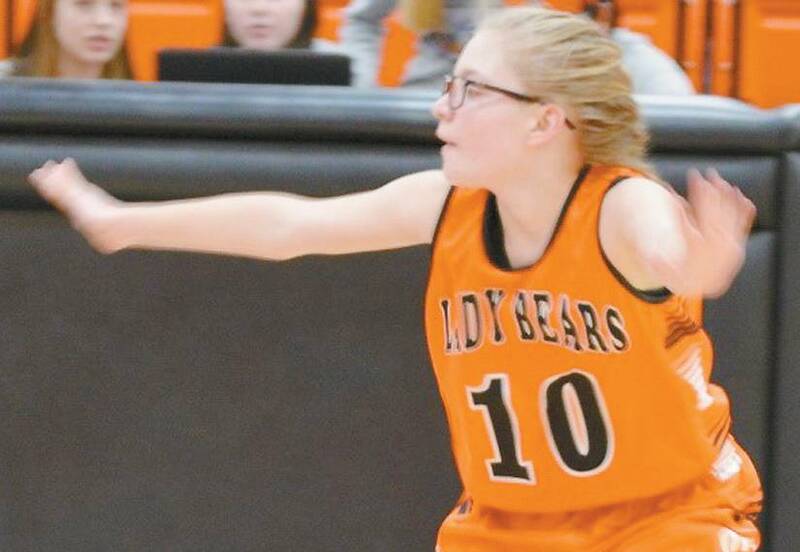 Ashlee Stibick is a point guard for the Junior High Lady Bears. She is the daughter of Jerry and Tammy Stibick and she has one brother Gunner. Ashlee has lived in Cheyenne her whole life. In basketball she enjoys scoring points and learning more about basketball every day. In school her favorite class is history with Brad Thrash. Her biggest achievement is receiving first place in band at state fair.